Sarina Zhang | The Chamber Music Society of Lincoln Center. Born in Canada and raised in San Diego, pianist and cellist Sarina Zhang made her debut with the New York Philharmonic at Avery Fisher Hall in 2011. She was named a National Young Arts Winner and a Davidson Fellow by the Davidson Institute for Talent Development. She is also the first person in the history of the Aspen Music Festival to have won both the low strings competition and the piano concerto competition. She has been featured five times on the national radio program From the Top, as both a pianist and a cellist, in addition to appearance on the program’s TV series. She has performed as a soloist with the St. Louis, Detroit, San Diego, Albany, and Corpus Christi symphony orchestras, as well as the Buffalo Philharmonic Orchestra and Prague Youth Philharmonic, among others. Most recently, she made her debut with the Juilliard Orchestra and Maestro Susanna Mälkki performing Schumann’s A minor Piano Concerto in Alice Tully Hall. She was also selected as one of 11 young artists to attend Music@Menlo’s prestigious Chamber Music Institute International Program in 2015. 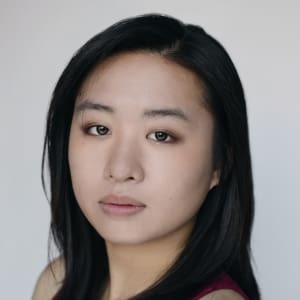 Ms. Zhang is a senior at The Juilliard School, where she studies piano with Yoheved Kaplinsky and Hung-Kuan Chen, and cello with Richard Aaron and David Finckel. She is a proud recipient of a Kovner Fellowship at The Juilliard School.